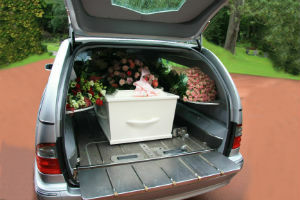 If you have lost a loved one in an incident or accident that was not their fault the grief is overwhelming. To know that another individual, public agency or company failed to act reasonably or responsibly and that their behavior killed someone you hold dear likely causes you immeasurable pain. Many families suffering this deep pain hope to hold those responsible for the death accountable for their negligence or intention. In many incidences, the surviving family members will hire a Rhode Island wrongful death attorney to file a wrongful death lawsuit. Filing a wrongful death claim or lawsuit serves as a legal remedy to the surviving family members who have lost a loved one through a fatal accident or occurrence. In many situations, the survivors have suffered injuries because the decedent previously provided them emotional or financial support. Depending on circumstances, the surviving spouse, dependent children, parents, beneficiaries and other family members might be entitled to seek recovery for their loss. To prove the claim, the RI injury law firm will usually hire case investigators and professional experts to provide testimony at the Providence Superior Court trial to outline the causes of the untimely death. The RI wrongful death attorneys handle every aspect of the case, alleviating the burden from the surviving family members to provide them time to rebuild their life without their loved one. Taking action quickly is crucial to ensure a successful outcome. This is because the state allows claims and lawsuits to be filed within a specific time frame as dictated by the Statute of Limitations. Attorneys handle wrongful death claims and lawsuits on contingency, meaning the surviving family members can avoid paying upfront fees. The legal services of the Rhode Island law firm are paid through an out-of-court settlement or at trial award.